Print your images with confidence with these exceptional printing service and home-printing supply companies. Whether it's for reminiscing over the holiday of a lifetime or that perfect wedding day, then you can do justice to those memorable moments this Christmas by selecting the services of our featured professional printing companies, as featured in PhotoPlus, the Canon magazine. Download an infosheet for our featured companies here. Trusted and loved by thousands of loyal customers, My-Picture.co.uk is one of the most popular photo printing services in the United Kingdom. 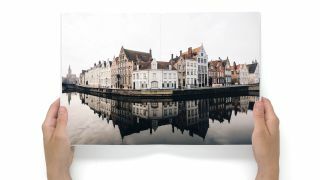 Delivering exceptional quality at prices that won’t break the bank, My-Picture.co.uk specialises in manufacturing highly accurate photo prints in the form of personalised photo wall decor, home & lifestyle accessories and original photo gifts. With a customer-centred philosophy as one of their trademarks, the service has years of experience in printing environmentally-friendly and, most important of all, pixel-perfect versions of your favourite photos. Bob Books offers you the ability to make customised, beautifully crafted photo books using simple technology. Choose from the range of photographic paper books with lay-flat binding and silver halide printing, providing brilliant colour and super sharp image quality with matte, lustre or gloss finish. Or select from the digitally printed books with perfect binding in classic, gloss-coated or matte papers. Established in 1906, Dunns Imaging has a passion and reputation for providing the best pro-printing services across the UK. With a market-leading online ordering system, Dunns provide same-day photo prints, beautiful albums, quality framing and wall art for creative professional and amateur photographers, providing only the best-quality service and exceptional value. Printing at home has never been easier with PermaJet's wide selection of award-winning inkjet paper. Surfaces range from gloss right through to more creative metallic or textured fine art options. And it doesn’t stop there – they also offer free custom ICC Profiles for colour correct prints, and training workshops for anyone looking to print with confidence.